Like every other industry, Mobile apps have excelled their presence with ecommerce and won customers trust with its excellent offerings in terms of UI, UX and customer service. People now look forward to buying stuff online without any fear. They trust the ecommerce apps and give them space on their smartphones and making frequent visits to check out various deals on their favorite products and other exciting shopping options. Many ecommerce businesses have tried their luck with online selling through web and app, but not all of them have succeeded. Few of them made a remarkable presence while some failed tremendously. 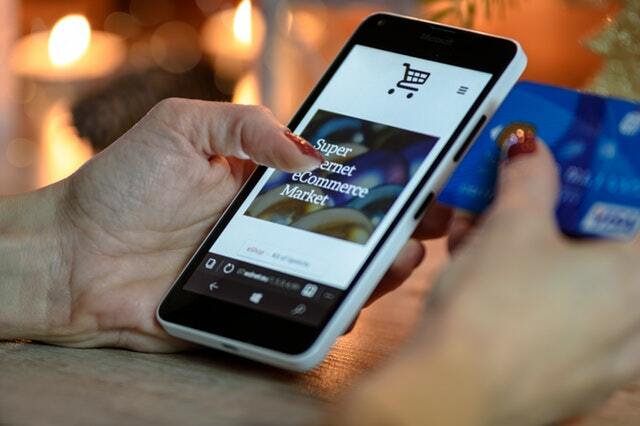 Mobile apps designed for ecommerce business, demands a special attention over some of the aspects which if overlooked during the time of app development, can result in its failure. Let’s check out what should not be ignored ecommerce mobile app development. The product description is the only way to learn about products when making a purchase from a shopping app. Unlike other shopping experience, people buy products without touching them and rely completely on the product description and other information mentioned. Hence, it should be relevant, powerful and honest. Everything about the product should be mentioned properly which can convince the visitors to make a purchase decision. Online shopping carts have a large product range and require an organized structure which categorizes products at its best making them more discoverable and easy to search by people. Limiting the product listing is important as too many products on the same page will require a lot of scrolling which might make the customer leave their search in between. Instead, dividing products into subcategories and organizing them to improve its visibility is important for ecommerce mobile apps. When a customer is done selecting their products, the first thing they would expect is an easy and safe check out system. Checkout process should be short and informative so that the customers find no reason to leave the checkout page. Every detail regarding the products bought such as pricing, discount, shipping charges, shipping date etc. should be mentioned, which will assure customers and encourage them to complete the checkout process. Multiple payment options comfort customers with choosing their own means of payment. It is important to use the safest gateway systems with your app. Quick and well-secured payment and checkout process entertains customers and wins their loyalty towards your app. With ecommerce apps, product delivery is as important as the online aspect of the app. Products reaching customers on time and in its best condition defines the overall shopping experience of customers and makes them return to your app again. These things ensure your app’s success and help you strive in the market. For all your ecommerce app related query, reach the team of V1 Technologies. They have a dedicated team for ecommerce mobile app development. Discuss your requirements with them and get a rate quote right away.